Fifteen years ago today, I put my esoteric interest out for the world to see. On March 1, 1998, the “Texas HighwayMan Pages” were born. Just like today, I covered everything I knew about Texas roads and the San Antonio freeway system. I still have that original site archived and wow, how things have changed, both in terms of the subject matter as well as in the quality of web publishing (and my skills in doing so.) That first site looks so amateurish today: cheesy, grainy, and oftentimes animated (for no good reason other than I could) graphics, brightly colored and/or busy backgrounds, low-res photos, and a generally clunky layout. But back then, that was cutting edge stuff. That first site was hosted on express-news.net, back when the Express-News actually provided consumer Internet access. About a month later, I added the Getting Around Germany section of my site, so I’ll be celebrating that anniversary im nächsten Monat. Folks ask me why I put the site together and keep it up. Well, the answer is that it’s the classic labor of love. Although it seems like an esoteric topic, just about anyone who drives is interested in knowing what’s going on with the roads. Being interested in transportation all my life, I had a lot of the answers to folks’ questions in my head or at least in a pile of old newspapers and other assorted planning documents in my closet, so I thought why not share it with the world? And that’s what I’ve been doing for 15 years and plan to do for at least the next 15. Yep, I’m still here too. Over the past year, I’ve been slammed transitioning into a new job. These days, I oversee websites for a TV station, where I’m having a blast. But I miss my little playground here, where I get to muse and write and try out some webby type stuff. I’d love to dredge up time and develop some data-driven apps and presentations. Urban growth and travel are perfect topics. I’ve also taken several trips – to DC, Utah, New Mexico and the Texas Coast. Each have untold stories. It’s all about time. You know, I just got on Facebook recently and found out I have another niece and another nephew on the way. Yikes! This month I’m wrapping up a couple of projects at work. This will be a good time to see if I can start spending time here in the sandbox again. It’s not like there hasn’t been anything to talk about. The 281/1604 interchange started construction earlier this year amid some very interesting legal proceedings. Work also started on the superstreet out on Loop 1604 as well as a variety of other smaller projects. The Legislative session came and went with no progress on transportation funding. And a certain toll road opponent has been in the news a few times lately reminding us that there still needs to be a contrasting narrative. But the past seven months has been crazy for me. I started the year with a brand new baby boy, my wife’s and my second joy. 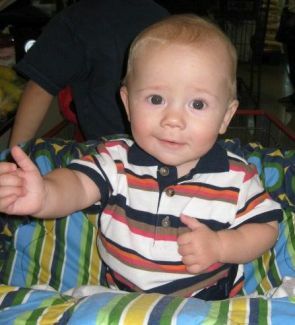 Daddy-duty has kept me quite busy as did several unusually consuming projects at my day job. On top of that, the general lassitude that comes with now being 40 kicked-in, all of which combined to relegate my longtime enjoyment of all things transportation-related—including writing this blog—to the back burner for a while. But things have slackened lately, meaning that I can hopefully get back to blogging about local transportation issues and updating my website, which had also gone dormant for the first half of this year. I probably won’t be as prolific as I used to be, but I’m aiming not to go seven months between posts! So if you’re still out there, thanks for sticking with us. I’m in touch with my co-bloggers Patrick and Hugh and hopefully they’ll be back in the mix here soon as well. One year ago, almost to the day, I posted here defending the TxDOT $1 billion “accounting error” that toll opponents, gubernatorial candidates, and other TxDOT-haters were using to justify their anti-TxDOT rhetoric. In it, I noted that if people would just take a few minutes to understand what happened, they would realize that the “error” was in reality quite harmless, easy to make, and, most importantly, that no money had actually been lost. And, the report included a miscellaneous note about the 2007 fiasco involving a $1.1 billion “accounting error” that briefly led to a statewide shut down of road work. The report concluded that in fact there was no actual accounting error — and the department didn’t actually lose $1.1 billion, as many critics have alleged. Instead, the department was in effect a victim of its own dissemination of inaccurate information. 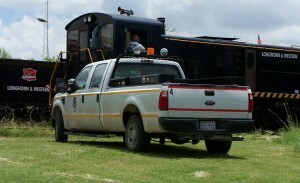 In September 2007, the report noted, a memo was sent to all district engineers regarding the next year’s letting schedule. The memo informed them that $4.1 billion would be available for construction projects, but that figure was inaccurate because it included $600 million in bond funding that had been double-counted internally, and $500 million from the Texas Mobility Fund that wasn’t available. Steps were quickly taken to correct the mistake and prevent it in the future, the report noted. The discussion of the accounting error is on page 55 of the report. Comments Off on Heat already on AGUA? In reader comments posted yesterday in response to the Express-News’ story about AGUA’s lawsuit to stop the US 281/Loop 1604 interchange, several posters were calling for boycotts of local businesses listed on AUGA’s “donors” page. Today, that list of businesses is gone from AGUA’s site. Reading between the lines, I think it’s pretty obvious that the heat is already on AGUA from their donors over their wildly unpopular and inane decision to sue. What effect do you think this will have, if any? You’ve probably seen Maggie Rios on the local news talking about road construction, lane closures, and the like, but you won’t see her on TV anymore– at least not as a TxDOT spokesperson. That’s because after 30 years of toiling at the state’s highway agency, Maggie has decided it’s time to give up the limelight and retire. Now she’s off to do what most pensioners look forward to doing: spending ample time with her grandkids and husband and just plain relaxing. I’ve known Maggie for almost two decades now, going back to when she was an assistant to David Otwell, the agency’s local public information officer back in the late ’80s and early ’90s. She is a wonderfully kind person and a consummate professional who always strove to be the best liaison and ombudsman possible between TxDOT’s San Antonio district office and John Q. Citizen, an often challenging proposition. She has provided immeasurable assistance to me over the years in the form of numerous documents, answers to countless questions, and the fielding of a number of complaints and suggestions (yes, even I complain to TxDOT once and a while). Along the way, she has become a good friend. As such, it was an honor and privilege for me to be able to attend her retirement ceremony a few weeks ago, during which she received a proclamation from the Legislature thanking her for her many years of service, as well as a flag that had been flown over the state capitol in her honor. Additionally, she received a nice plaque from TxDOT and a wonderful gift from her co-workers. It was obvious that she will be greatly missed. I had small, jolly close to subtle, magnetic signs made for the Texas Transportation Museum’s 1924 Model T truck that simply say, “The Diva.” This is because while the old girl runs pretty well on our unimproved roads and neighboring streets, it acts out badly during show time. Oh well! Here is a link to a set of snaps taken at the recent fourth annual Ford Model T Show here in San Antonio. 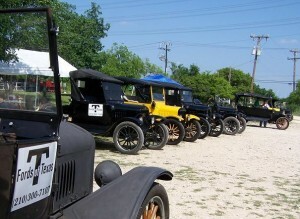 It is a joint project with the local Model T club, the “T Fords of Texas,” and sponsored by the Red McCombs Automotive group. It was during this event that I arrived at the surprisingly conclusion that all Ts are divas. That’s why they are still here. Someone was just too crazy about each one to let it go. So far this year I have had the pleasure of touring both Medina and Caldwell Counties in this persnickety old machines and I fully understand the devotion. Now all I have to do is get the one I am looking after for future generations to run right! Having said that she did come through in spades during the Flambeau Parade, so she makes all the effort worthwhile!